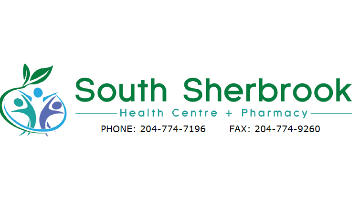 You will be working in a well-established centrally located medical practice in Winnipeg at Unit B - 88 Sherbrook St. We see patients with or without appointments and we work in English. Each physician works out of two rooms with adjoining office. South Sherbrook Health Centre is a busy clinic with high demand for new physicians seeking to service a full patient load. The clinic has an expanding patient database of all ages with a wide variety of medical needs and boasts onsite laboratory, EKG, and spirometry services. Home to five Family Physicians and four Pharmacists, South Sherbrook Health Centre and Pharmacy has strong professional culture with collegial environment. It is adjacent to a physiotherapy and athletic therapy clinic, as well as a fitness centre. This office is fully computerized and uses the Input Health program. This is a permanent full-time position. Remuneration is on a fee-for-service basis. We also provide generous vacation allowance, flexible schedule options, and time off for continuing medical education. You will require the skills and training of a licensed physician including a recognized university medical degree, completion of residency requirements, and be enrolled as a Licentiate from the Medical Council of Canada and the Manitoba College of Physicians and Surgeons. This is an excellent opportunity to practice medicine without the responsibility of administrating an office. We would be pleased to hear from you.